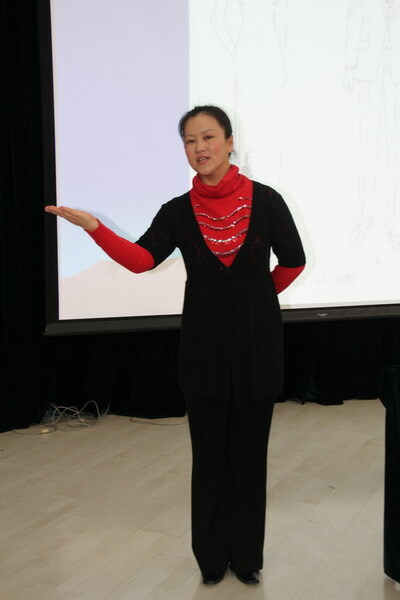 On 26 March, 2012, the International Department invited the senior lecturer on International Etiquette Ms. Yang Lihong from Qiushi Vocational School to give Chinese culture and international etiquette training to the students from the Sino-British and Sino-American programmes. China has five thousand years of history of civilization and a deep etiquette culture. Since ancient times, China has been known as "a kingdom of ceremonies". The successful 2008 Beijing Olympic Games and 2010 Shanghai World Expo deepened the world-wide impact of unique Chinese culture and etiquette. In the lecture, Ms. Young first presented the concept of etiquette, types of etiquette and what proper etiquette for students is. Yang concluded that etiquette is a moral code for communication between people, including manners, ceremony, personal appearance and behaviour. From the point of personality, etiquette is the reflection of individual inner qualities. From the communication side, it can be considered as an art applicable to interpersonal communication, a method of communication, and a conventional type of behaviour which show respect and friendship. Etiquette can be divided into five areas: government, business, service, social, and foreign affairs etiquette. After explaining the concept, Yang demonstrated to students how to greet, serve and communicate with people in formal situations. 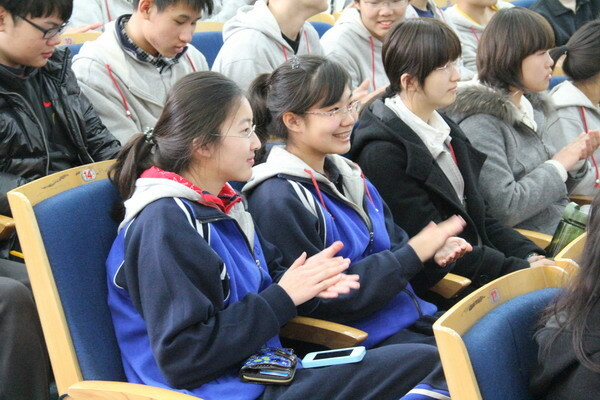 At the same time, she gave students some suggestion on clothing, appearance, and behaviour during social activities. Chinese culture and international etiquette training provides students with a good understanding of China's rich cultural heritage and its extensive international influence, whilst at the same time improving the quality of the students. For the students from these two programmes, who will go to study abroad, this lecture on cultural and behaviour will benefit them in their university lives in foreign countries.